In cities owning an independent house with some garden space is only a dream for most of the middle and small class citizens. You are forced to buy a two or three bedroom apartment with little open space called 'balcony'. 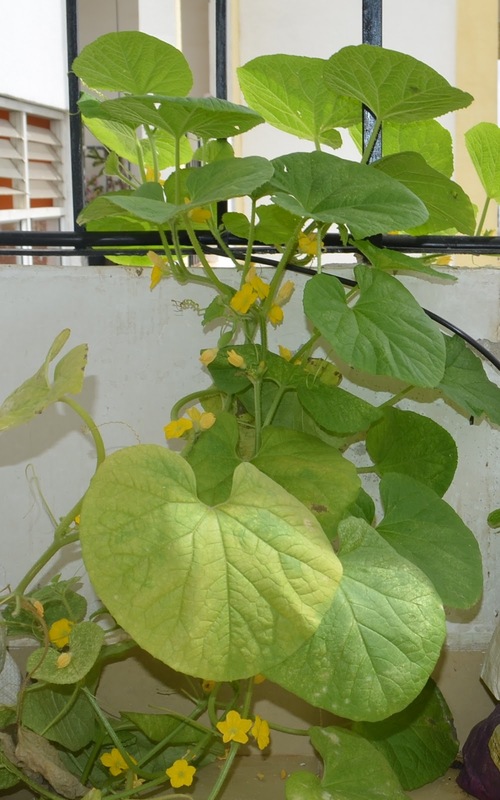 Still you can fulfill your dream of having your own vegetable garden by efficiently utilizing the balcony. 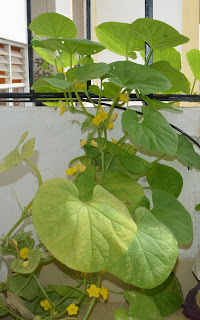 As a beginner you just need little space in balcony, few vegetable pots, vegetable seeds and soil mix. 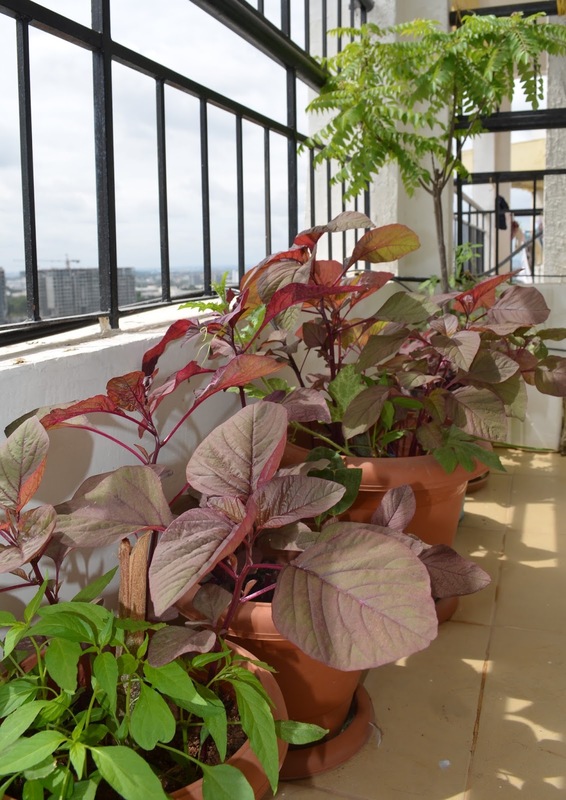 Once you have a basic setup you can move to advance level such as add vertical gardening, drip irrigation etc. How to select vegetable pots? 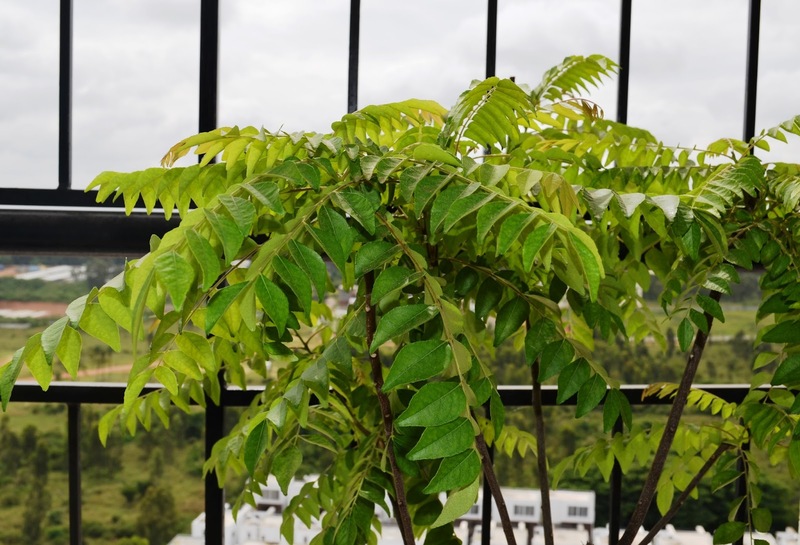 There are different types of pots available in the market, you need to choose the one best suitable for balcony gardening. Since you don't have much space for your garden, you should go for small ones but should look good. 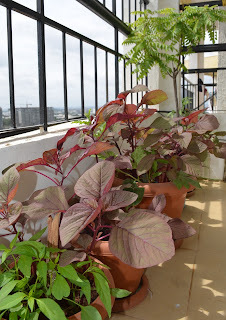 Terra Cotta containers are normally good for plants but won't be a good option for balcony as those are heavy, cracks easily if not handled carefully. There are plastic containers which looks similar to Terra Cotta containers but are very light, good looking and hence a better option for balcony gardening. Also you can use plastic grow bags which are very cheap but not durable and may not give a good looking balcony. There are other cheaper options like thermocol containers, empty tin containers etc. Make sure to put drainage holes before filling the pot with soil mix. You will get organic soil mix from nearby stores or even eCommerce shops such as Amazon, Flipkart etc. 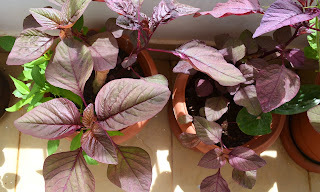 Now fill soil mix up to 80% of the pots and keep it at positions where maximum sunlight is available. Optionally you can add a think layer of sand at the bottom of the pot to make the drainage flow smooth. Sow only one variety of seed in one pot, scatter seeds evenly, then add a thin layer of soil on top of the seeds. Water the pots gently only to moisten the soil, don't over water the pots. Germination takes one to five days, be patient. Also not all seeds germinates, so seed accordingly. 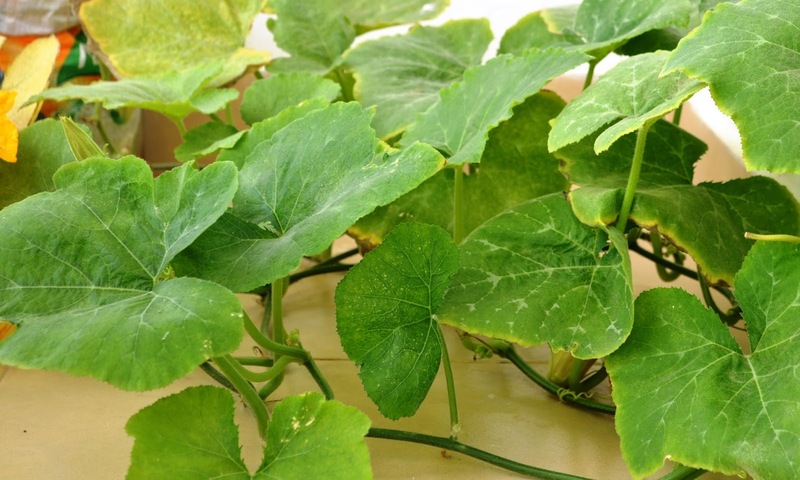 Once the seeds germinates and develops two to three leaves, its time to transplant them to individual pots. Gently take out the plants one by one and plant them on the new pots. 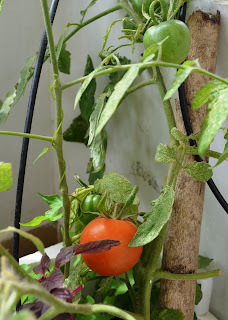 Keep 2-3 inches space between plants(depends on the plant type). Water and sunlight is must for vegetable plants. Water the plants regularly, if possible in the morning and evening. Never over water plants. Move the pots to places where more sunlight is available. Fertilize the plants on a weekly basis. You will get cheap drip irrigation DIY kits from the market, normally costs Rs.500 - Rs.1000 for 20 plants. There are many advantages of Drip-irrigation, and the most important is it saves lots of water. Another important factor is it saves time if your garden is big and you are a busy person. Also it becomes useful when you want to stay away from home for couple of days and want to keep watering your garden.